Never have to unearth your jewelry under piles of stuff! If you own a lot of jewelry pieces, keeping track of all of them and organizing them may be a bit of struggle. The smaller pieces such as earrings and rings have the highest risk of getting lost, necklace chains and bracelets may get tangled, and bangles are too chunky and bulky to keep in small jewelry boxes. That said, we will be discussing this week four ways on how to store and organize your jewelry. Never have to unearth an earring under piles of stuff with the help of these simple tips. Get yourself a jewelry display. 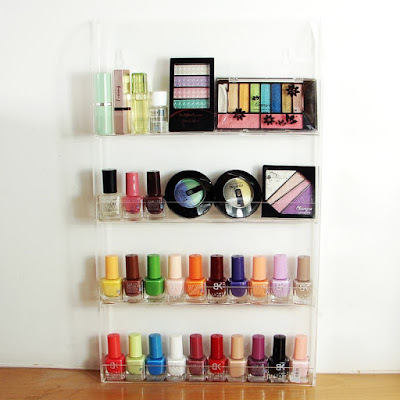 Displays don’t have to be limited only to stores, you can also use them to organize your jewelry. This is especially ideal for those who own a lot of pieces so you can quickly find that necklace you want to wear. There are lots of displays to choose from. For your necklaces, you can get the black velvet stand. For your bracelets, you can get the T-bar display, and tree stands for your earrings. Get yourself a jewelry organizer. 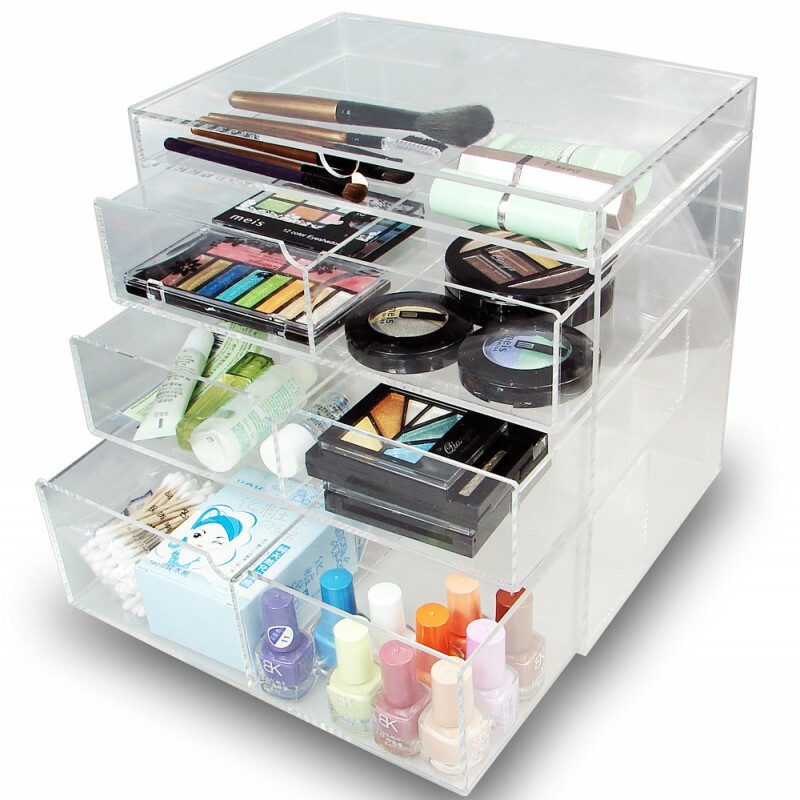 The easiest way to store jewelry is by keeping them in ready-made jewelry organizers. 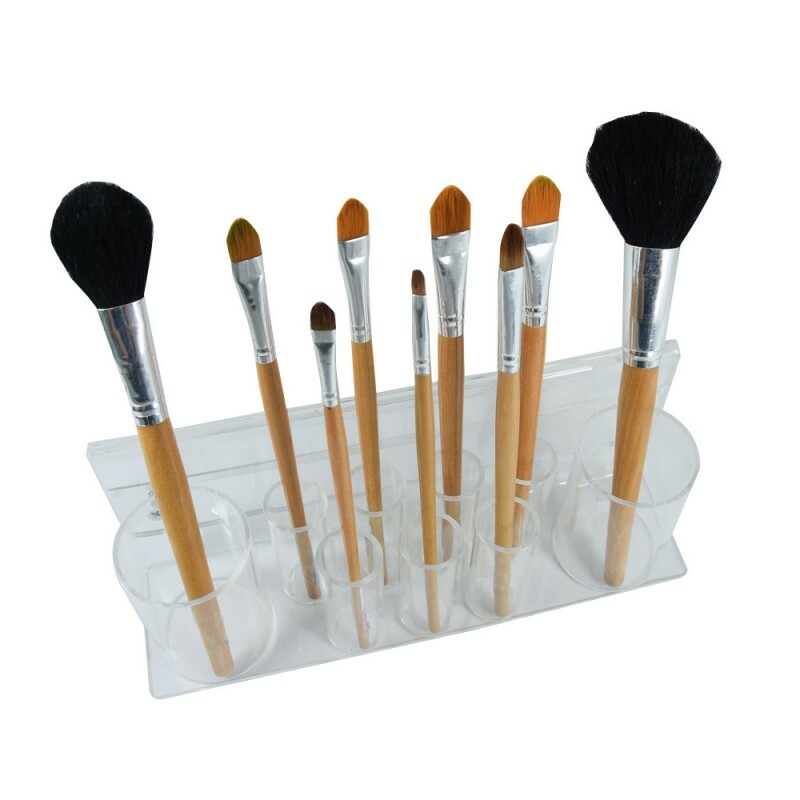 There are so many options to choose from; you can get ones made from wood, acrylic, metal, and faux leather. Those made from wood are the traditional kind of jewelry box some are musical too. 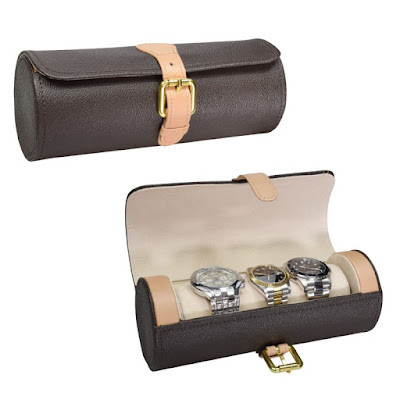 Faux leather boxes are stylish, acrylic organizers are ideal for rings and earrings, and the metal organizers are perfect for all types of jewelry pieces. Store them on the wall. If space is an issue, mounting your pieces on the wall is an excellent idea. 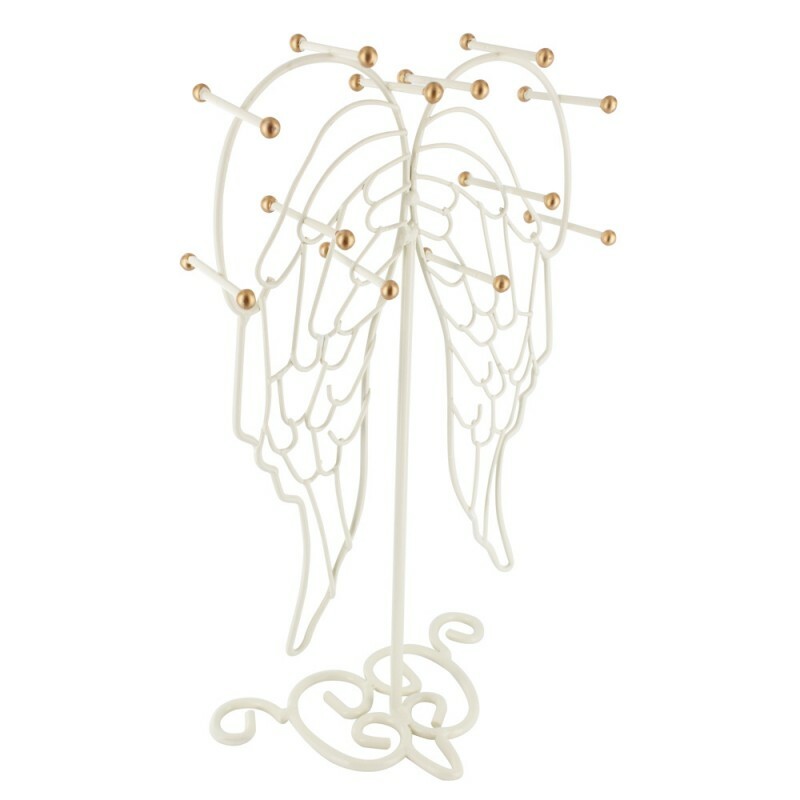 Mounted wall hooks are not only for coats but are perfect for necklaces, bracelets, and rings too. 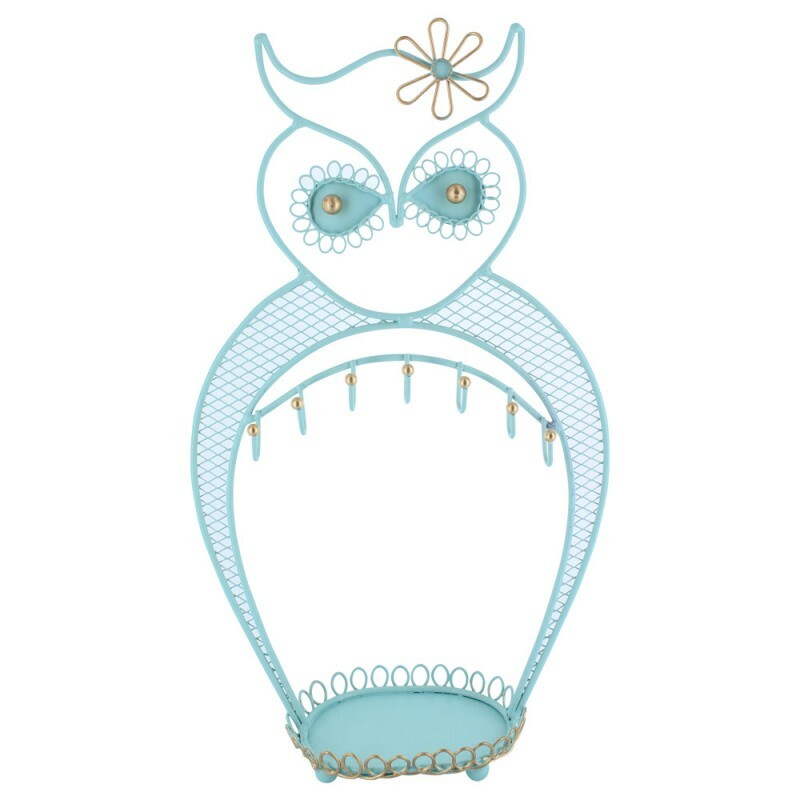 Another option is to get yourself wall-mounted jewelry organizers. Some double as photo frames too; a perfect way to hide your jewelry. DIY, recycle, repurpose. 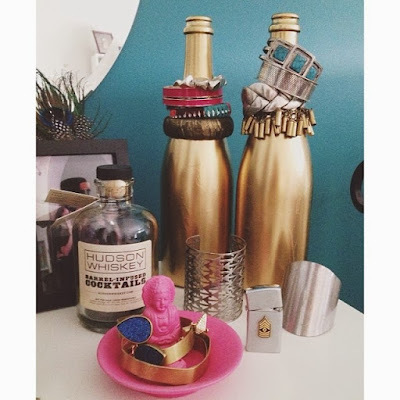 You can organize your jewelry with basically anything with a dash of creativity! Stack your bangles and bracelets on used bottles. If you own just a few pieces, you can store your necklaces on clear glass trays and place them in drawers. Old coasters can be used as ring storage. Which one’s your favorite? Feel free to share your thoughts in the comments section! 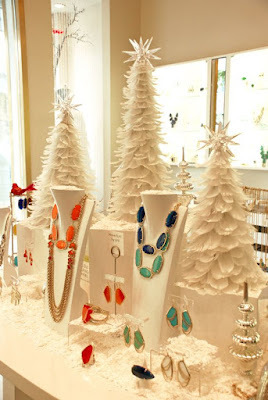 Turn your jewelry store into a winter wonderland with festive displays! Winter is coming in less than two weeks. 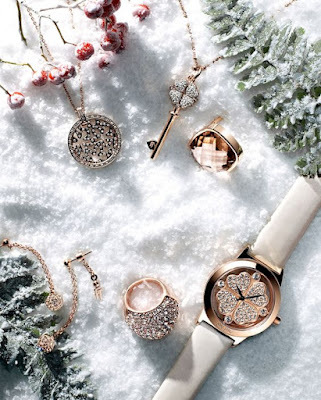 What better way to design your jewelry shop but to transform it into a winter wonderland! Be one of the first shops in town to let their customers experience snow. 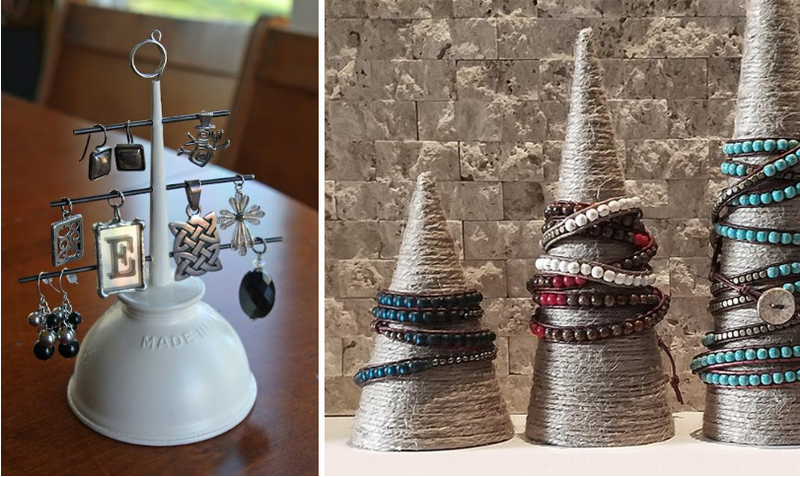 Incorporate yuletide elements to your jewelry displays and here are some suggestions you can take inspiration from. 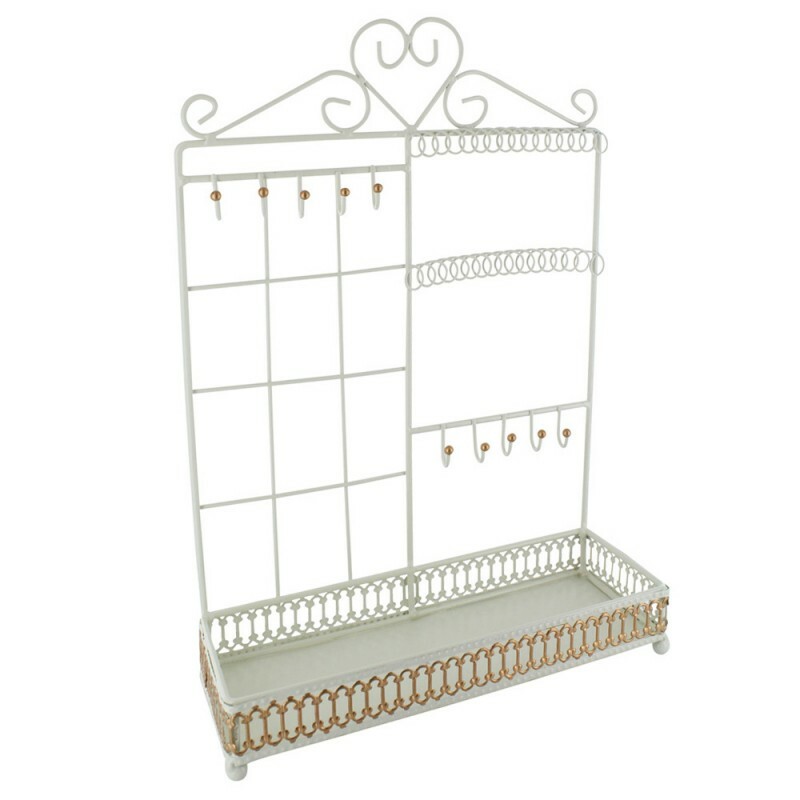 Use white jewelry displays and stands. 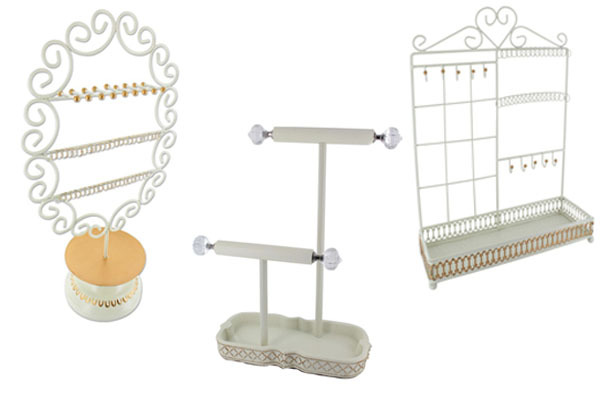 Showcase your pieces using white jewelry display stands and trays. They give off a festive feel and look great with Christmas ornaments. Those with gold and crystal accents are the ideal ones to use. Snow, of course! You can use various materials for these; including white velveteen fabric, glittered styrofoam, or spray snow. 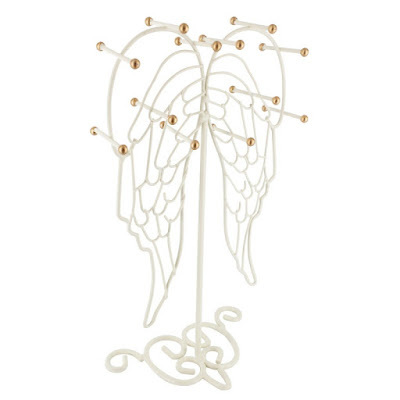 This would look good with your white jewelry display, especially those with gold accents. Place some small Christmas trees. You can make DIY miniature trees and place them with your displays. You can make them white as with everything on the table or go with the traditional green trees. There are various ways on how to make these which you can easily learn online. But if you have no time, you can purchase ready-made ones in craft stores or online shops. 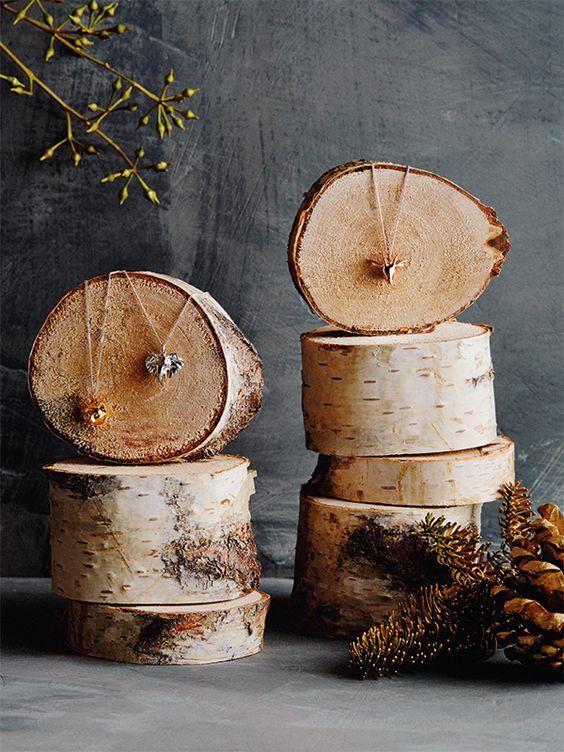 Use chopped logs as display and place mistletoe and pine cones. Chopped logs are perfect for this season; they remind us of yule logs and cozying up by the fire. What’s great about these logs is that you can also use them as displays. And to add a more festive feel, decorate them with mistletoe (fake or real, it does not matter), and pine cones. Don’t forget to add fake snow! Display the pieces in miniature trees. 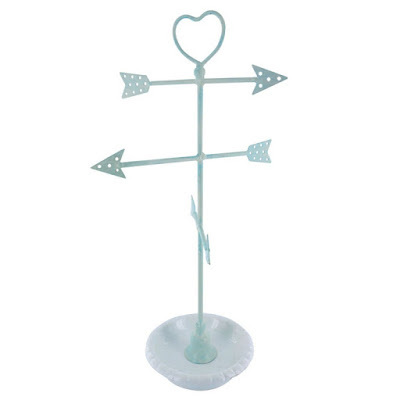 You can either go with DIY Christmas tree displays or buy them at shops. If you are going for a minimalist-themed display, go with cone displays instead. The disadvantage of cones, however, is that they can only hold bracelets and necklaces. Want to see other jewelry displays and organizers? Do check out the shop! Showcase your earrings and rings in unconventional ways with these new arrivals! Sometimes, achieving an eye-catching, unique ring and earring display is not easy. 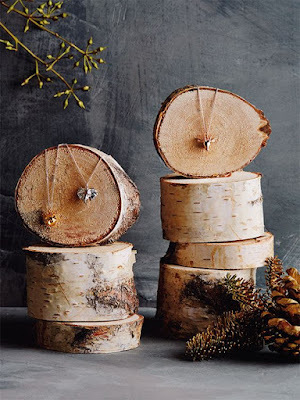 You have done it all -- pine cones for Christmas, DIY displays that go with your shop’s theme, and of course, the traditional earring and ring stands and trays. Get to start the new year right with our new metal jewelry displays; these bring out an old-world vibe your customers will love. 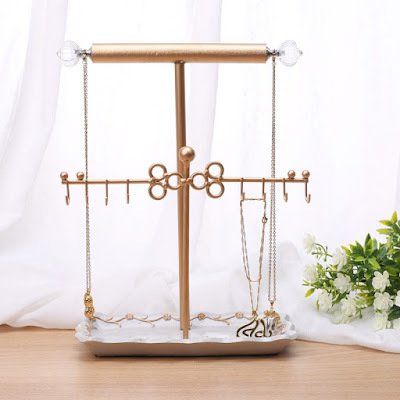 This charming jewelry display doubles as an organizer. Made with blue-green metal, it is great for yellow gold and rose minimal gold pieces. 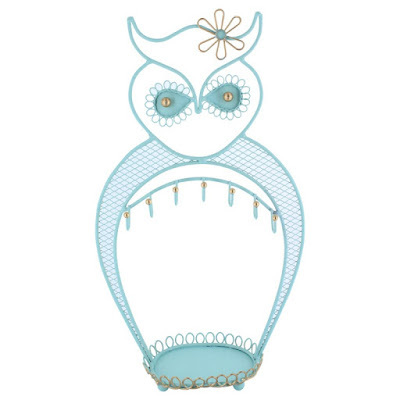 The owl comes with a base tray, seven hooks, two hooks, mesh, and 31 holes. The seven hooks are perfect for rings but may also be used for bracelets and necklaces. TIP: Use this display when showcasing matching jewelry sets. Keep your pieces tangle-free with this chic metal display and organizer. Its sea-green almost pastel blue hue makes it an ideal display for silver pieces. 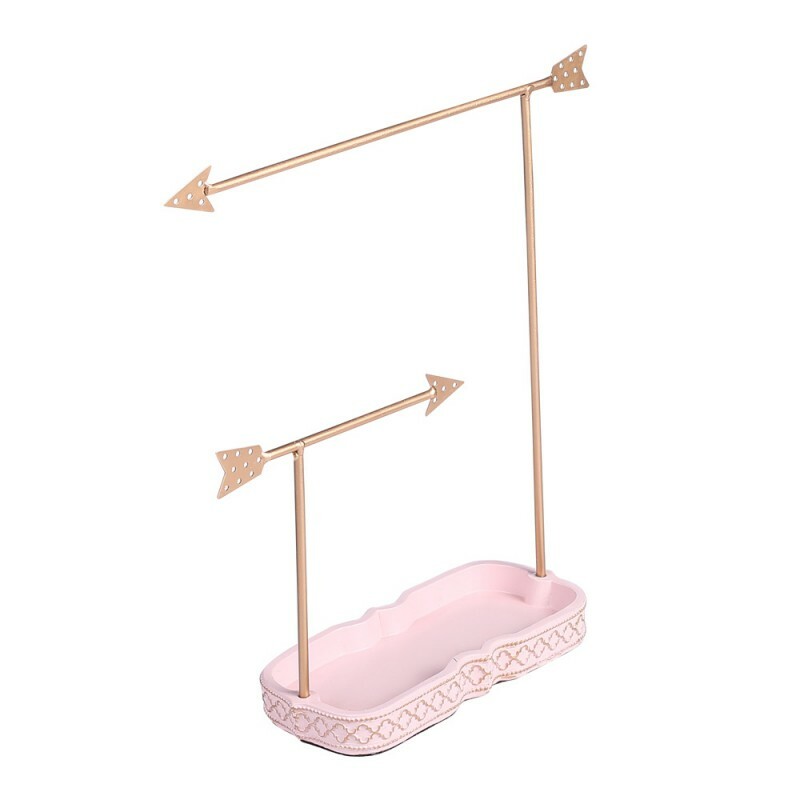 This lovely stand features a ceramic base tray, three bars, and three arrows which have 39 tiny holes. Its vintage, old-world vibe conjures up romantic scenes in Paris during the golden age of travel. 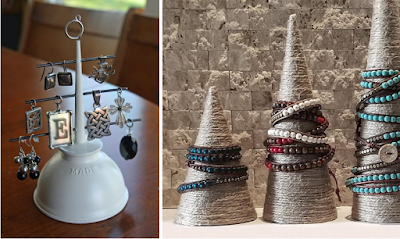 TIP: Use the Metal Arrows Jewelry Display to organize and display statement rings and hook chandelier earrings. 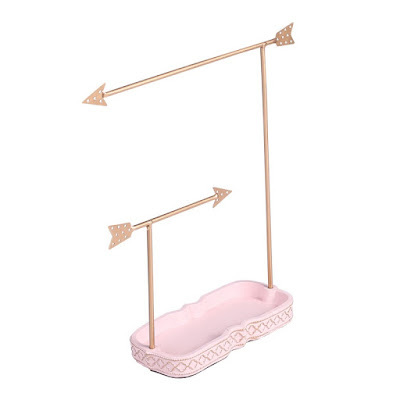 Keep your rings and earrings organized with this Metal Arrows Metal Arrows Jewelry Display Organizer. The pink and gold colors make black and chocolate-colored pieces stand out. It features a base tray perfect for rings and stud earrings. TIP: Place hook chandelier earrings on the top arrow and hook drop earrings at the bottom one. 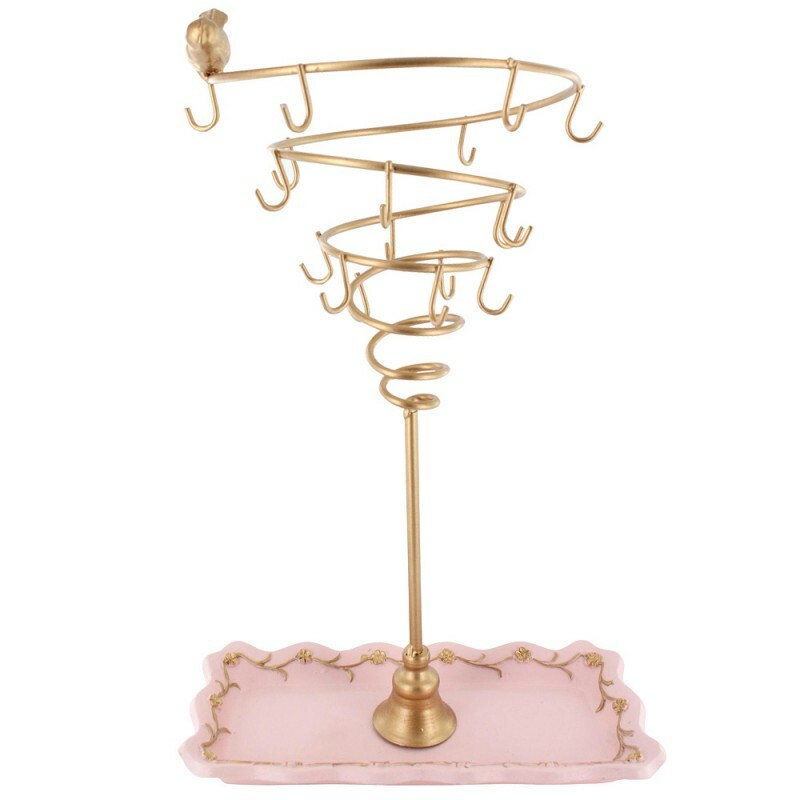 This spiral display is for bracelets and necklaces but is also perfect for rings and earrings. It exudes a romantic charm and features a pink ceramic base tray and seven hooks. The spiral design allows for easy organizing and easy viewing of the pieces without mixing them up. TIP: Place hook earrings at the top and rings at the bottom. Use the base tray for stud earrings. The white metal and gold designs remind of Santorini architecture and romantic memories. It features a base tray, two bars with a total of 32 holes, two bars with ten hooks, and a grid. 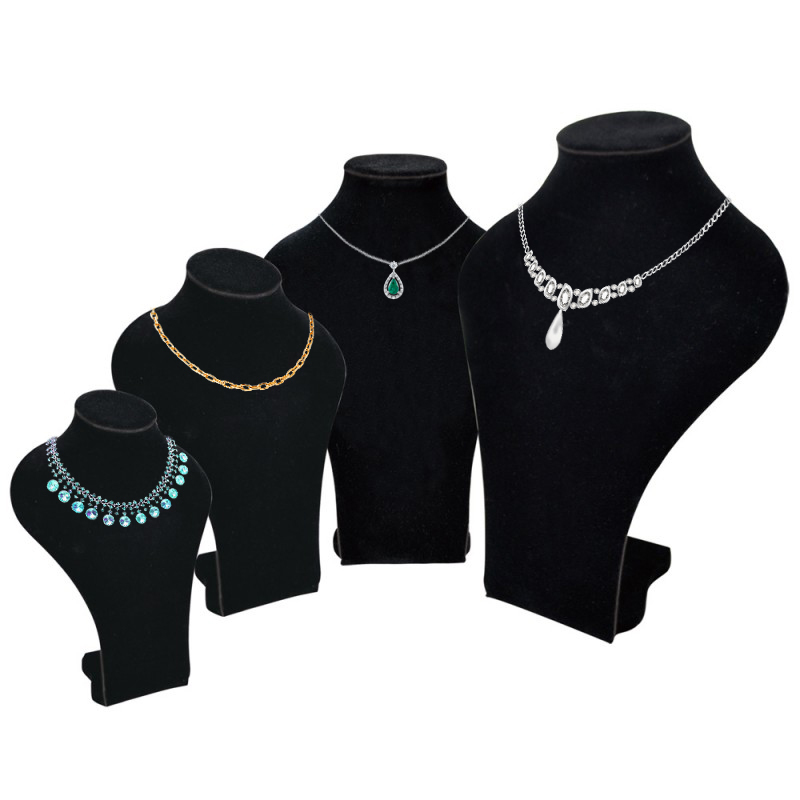 Showcase bracelets and necklaces along with your ring and earring collections. TIP: This display is great if space is an issue. Showcase stand alone pieces and matching sets alike with this charming organizer. See more metal displays and new arrivals in the shop!